The Germans who came to be called the Germanna First Colony arrived in Virginia in April 1714. 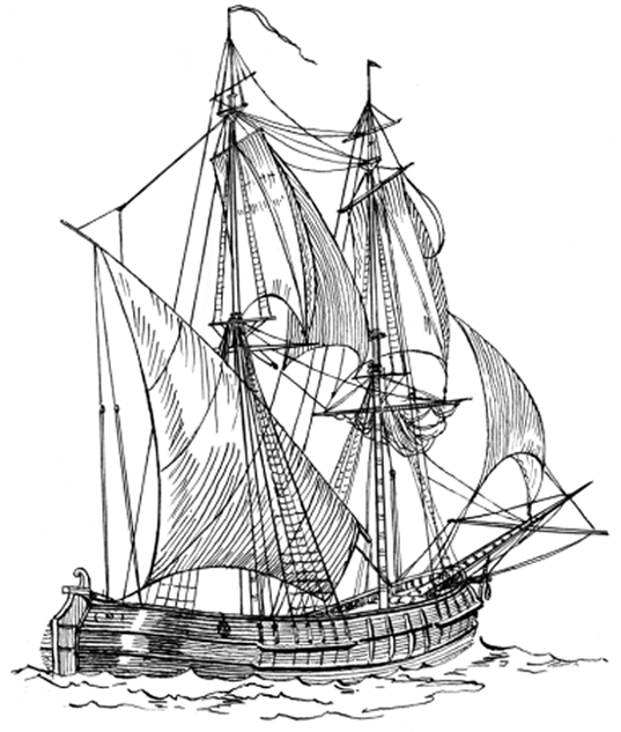 Most ships arriving in 1714 first put in at Kecoughtan (Hampton VA) and then proceeded up the James River to Jamestown. From there, they most likely traveled overland to Williamsburg where Governor Spotswood resided at the time. Having paid approximately half their passage, the First Colony owed the remainder to Governor Spotswood through arrangements made by Colonel Nathaniel Blakiston in London. These families were obligated to work for Lt. Governor Spotswood for approximately 4 years in return for his payment of the remainder of the cost of their passage. When Col. Blakiston sent the Germans to Virginia at Spotswood's expense, Spotswood thought that perhaps the Queen had ruled favorably on his request to develop silver mines. Spotswood chose a location on the Rapidan River that he had reserved for the Tuscarora Indians, but the Tuscaroras having left the area and returned to North Carolina, he elected to place this group of Germans there. According to Spotswood's letters, he had a fort built for them, provided them with two cannons for protection, and restricted hunting by others in the area in order that they might hunt for game to eat. The fort was built overlooking the Rapidan River, later to become the site of Governor Spotswood's "Enchanted Castle." After exploring and looking for silver mines for Spotswood,the First Colony moved to land on Licking Run located today in Fauquier County, Virginia late in 1718 or early 1719 N. S. This land had been surveyed in 1718 for them but not granted until 1724 due in part to the death of Lady Fairfax. This land was granted to Jacob Holtzclaw, John Hoffman, and John Fishback on behalf of the entire group because Holtzclaw, Hoffman, and Fishback were the only naturalized citizens. The following families were represented: Holtzklau, Richter, Otterbach, Merdten, Brombach, Kuntze, Häger, Hitt, Hofmann, Kemper, Spielmann, and Weber. Present but not counted in previous writings done by others was Johann Justus Albrecht, the recruiter of these Germans from the Siegen area. Each family will be described in greater detail in the following sections. Please explore the exciting Germanna First Colony website with more detailed information on the First Colony and the families that made up the First Colony. CLICK HERE to explore the website dedicated to the history of the Germanna First Colony.